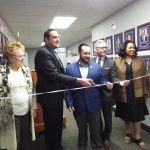 Officials from the Suffolk Sports Hall of Fame and Town of Huntington have ribbon cutting ceremony for new exhibit. 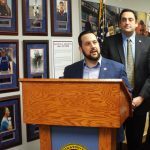 The Suffolk Sports Hall of Fame and the Town of Huntington have debuted a new exhibit at Huntington Town Hall as of February 2019. 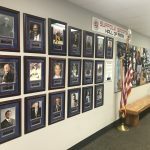 The exhibit pays tribute to the inductees of the Suffolk Sports Hall of Fame who have a connection to the Town of Huntington, either as a player, coach or resident, including former professional athletes Emerson Boozer, Gerry Cooney, Clark Gillies, Tom Gugliotta, John Nitti, Wesley Walker and Sara Whalen. 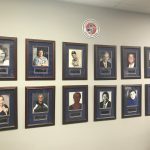 Individual photos of more than 30 inductees now hang on the first floor of the building located at 100 Main Street in Huntington. 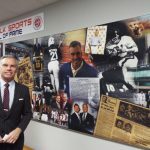 The exhibit also features a collage honoring the life and career of James C. Metzger, a native of the Town of Huntington who was inducted to the Suffolk Sports Hall of Fame in 2014. 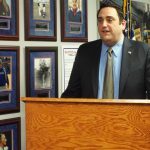 Metzger, a philanthropist and business executive, is a Half Hollow Hills alumnus who stared in football, basketball and lacrosse, and left his mark on the lacrosse field as an All-American both in high school and in college at Hofstra University. 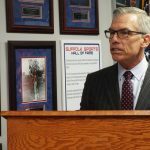 He is also the founder and CEO of The Whitmore Group located in Garden City. James C. Metzger with collage that pays tribute to his life and career. 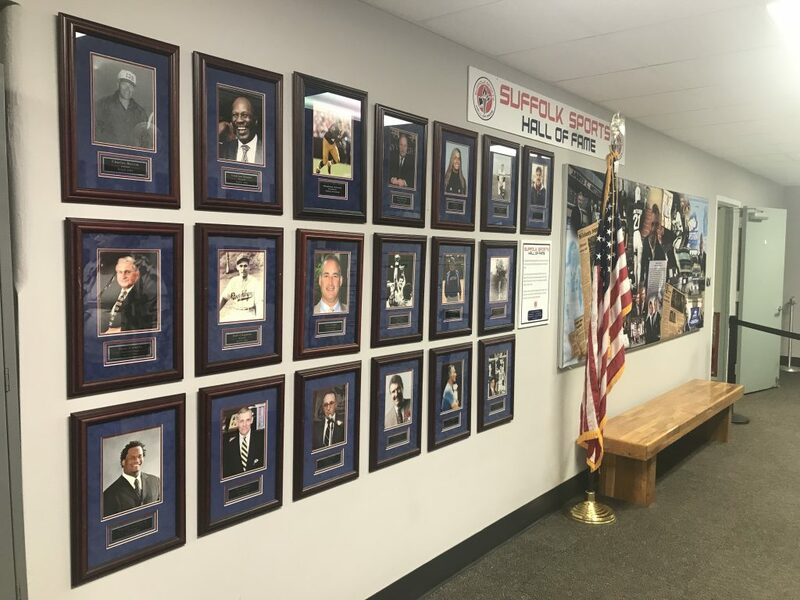 Suffolk Sports Hall of Fame inductees featured in the exhibit: Stephen Bowen, Charles Boccia, Emerson Boozer, Don Buckley, Jill Byers, Fred Cambria, Rich Castellano, Tony Cerullo, Bob Chipman, Tom Combs, Gerry Cooney, Bill Edwards, Ray Enners, Melvin Fowler, Fred Fusaro, Lou Giani, Clark Gillies, Frank Gugliotta, Tom Gugliotta, Kim Gwydir, Bob Herzog, Bill Ketcham, Jim Metzger, John Nitti, Ed Norton, Carol Rose, Cathy Vayianos, Wesley Walker, Sara Whalen and Ann Marie Wyckoff-Bagshaw. 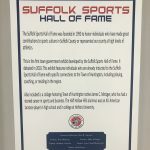 This is the third satellite exhibit established by the Suffolk Sports Hall of Fame. 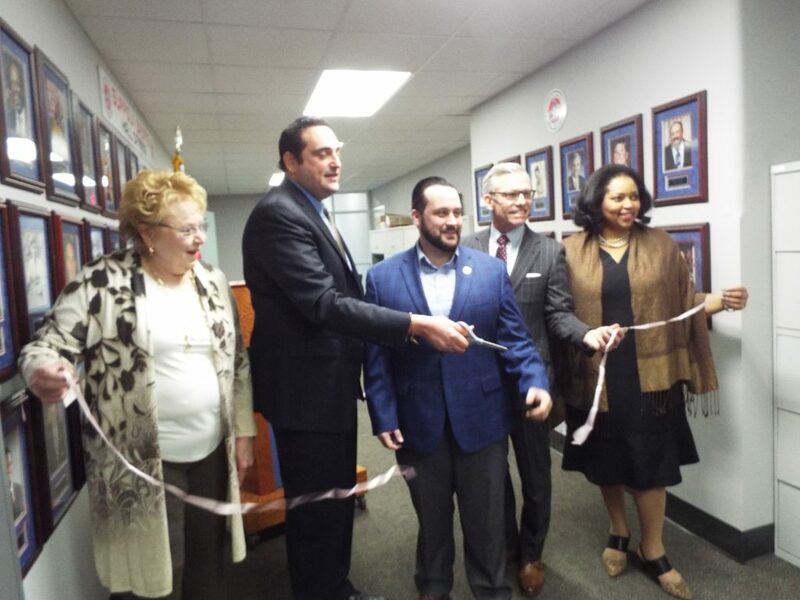 There are also ones located at Long Island MacArthur Airport and Bethpage Ballpark, the home of the Long Island Ducks.